The #1 Adult Halloween & Costume Party! 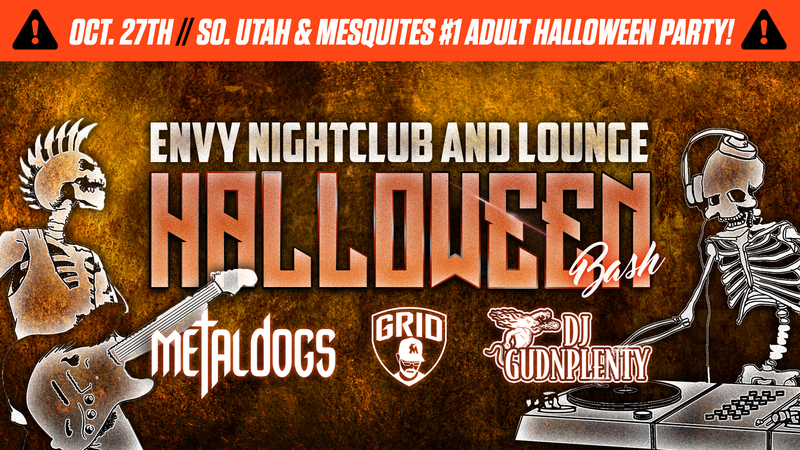 Get your costumes ready for ENVY’s Annual Halloween Bash hosted by DJ Grid and DJ GudNPlenty playing the hottest Hip Hop, Top 40, Mashups, Mixes and Remixes until the sun comes up! Get ready to rock out as the Metal Dogs take the stage to rock Envy Nightclub and Lounge with a high energy live performance that you DO NOT want to miss! Call us at 1 (702) 346-9000 or message us to reserve your VIP table NOW, before they are SOLD OUT!